A shooting has been reported at the U.S. Capitol Visitors Center; there are scant details right now, but local media are reporting that several people were injured and the shooter has been caught. 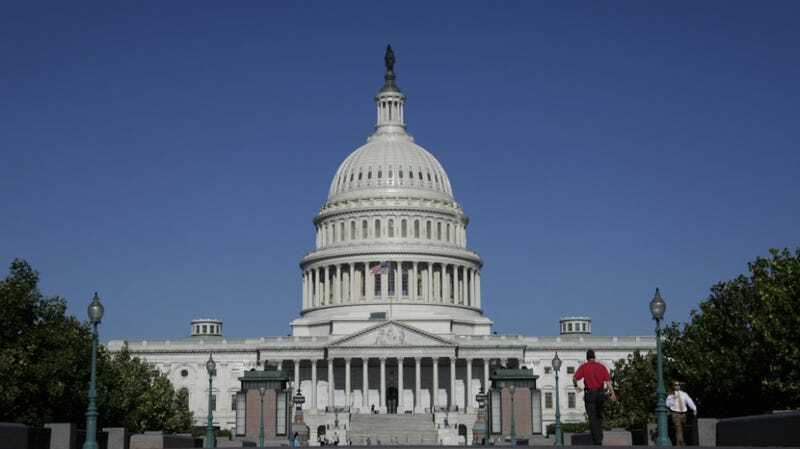 U.S. Capitol employees are being told to shelter in place. An email sent to Capitol Hill staff says that U.S. Capitol Police have placed the entire area on lockdown; people outside are being advised to seek cover. Adding to the confusion, there was a safety drill this morning on Capitol Hill. This is not a drill. The Associated Press reports that the White House has also placed on lockdown as a precaution. The D.C. Police Department calls the shooting an “isolated incident” and says it’s contained. Initial reports that a Capitol police officer was shot appear to be incorrect; the AP reports an officer was injured, but not shot. The shooter is confirmed to be in custody, though there’s no information yet on their identity. The Senate Sergeant at Arms reports that the shelter in place order has been lifted.